AMSTERDAM – 18 May 2018 – Irdeto today announced that Niels Haverkorn has been appointed to the role of General Manager for Connected Transport. This new role is designed to accelerate the development of Irdeto’s thriving connected transport security business. Mr. Haverkorn joins Irdeto from Volvo, where, as Vice President of Business Platform Services and Solutions, he was responsible for developing and leading digital strategy for Volvo Construction Equipment. With extensive experience in automotive, mobility solutions and connected services, Mr. Haverkorn will strengthen Irdeto’s position in the connected transport sector by expanding its security offering for OEMs, tier-1 suppliers and fleet operators as well as helping to develop future business models based on security. He joins Irdeto to take control of a growing connected transport business, following the launch of Keystone and recent customer and partner announcements with XPENG, Link Motion and IBM. “The connected and autonomous vehicle market is a huge growth area across the globe,” said Niels Haverkorn, General Manager, Connected Transport, Irdeto. “The importance of robust security cannot be underestimated, making this a very exciting time to join Irdeto. The organization is continually innovating in connected transport security and products like Keystone demonstrate how new business models can be built using security as an enabler. 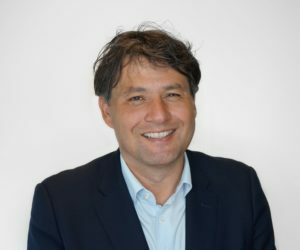 I look forward to continuing this innovation and using my experience to further grow this business.” “Niels Haverkorn is a very well-respected executive and expert on the business of connected platforms and services, which will be invaluable in leading our connected transport business into an exciting future,” said Doug Lowther, CEO, Irdeto. “As cybersecurity threats continue to move beyond computing platforms and networks to include vehicles and transportation infrastructure, Niels’ experience will be crucial to continue the growth of Irdeto’s connected transport security offering and helping ensure the safety of connected and autonomous vehicles.” Prior to joining Volvo, Mr. Haverkorn held a variety of global leadership roles with Phillips, where most recently he was General Manager of the mobility solutions global business unit. In this capacity, Niels and his team developed various smart ADAS (Advanced Driver Assistance Systems) solutions for the automotive and mobility markets.